Well, after two days of performance art complete nonsense an "ARG" on Twitch, we've finally come to the end of the brutal tunnel to find out the game Square Enix has been teasing. 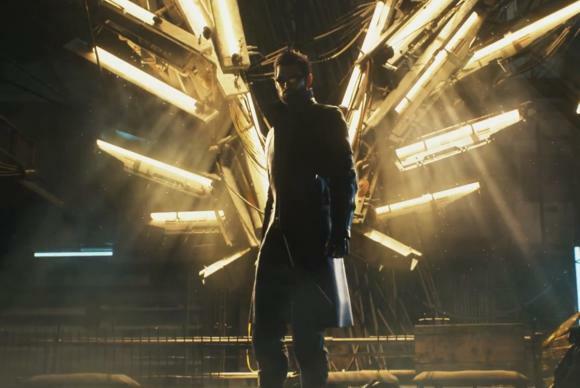 To absolutely nobody's surprise—considering the game leaked yesterday—it's Deus Ex: Mankind Divided. 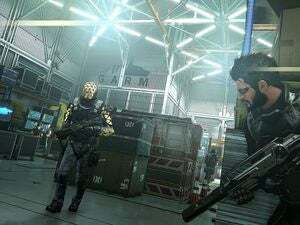 "Deus Ex: Mankind Divided directly follows the aftermath of the Aug Incident, a day when mechanically augmented citizens all over the world were stripped of control over their minds and bodies, resulting in the deaths of millions of innocents. The year is now 2029, and the golden era of augmentations is over. Mechanically augmented humans have been deemed outcasts and segregated from the rest of society. Crime and acts of terror serve as a thin veil to cover up an overarching conspiracy aimed at controlling the future of mankind." The trailer itself is pretty heavy on the action, but I don't know how representative that'll be of the final game. Presumably it'll actually consist of Adam Jensen creeping around a lot of very fancy tech environments, hitting people with his magic knock-out hands, reading their personal emails, and (hopefully) never encountering a single stupid forced boss fight in the entire game. Also, everything will be very yellow. Because the future. In all seriousness, I'm looking forward to this one. 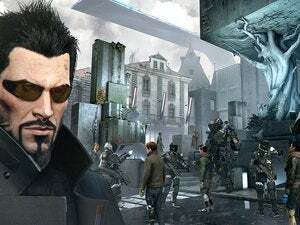 Human Revolution was a fantastic game, with the exception of those boss fights, and Deus Ex is a PC institution. Hopefully we'll see more of this one as E3 approaches.